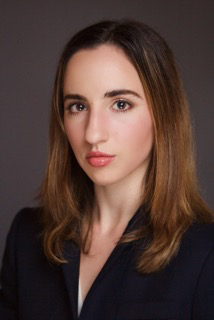 Justine Singer-Kaufold is Global Cyber Events Programming Associate for NetDiligence’s Cyber Risk Summits in Philadelphia, Santa Monica, Toronto, and London. In this role she assists with programming, sponsorship and event management. Justine is also responsible for developing content for social media platforms. Her knowledge of cyber security spans insurance, regulatory and security sectors. Justine also consults for non-profit organizations including YPO (Young Presidents Organization) and CSFI (Cyber Security Forum Institute). With a background is in marketing and communications, Justine has previously worked for advertising agencies and global retailers with international experience in Germany and the UK. She is a native English and beginner level German speaker. Justine holds a B.A. in Marketing from the LeBow College of Business at Drexel University. “International Cyber Conflicts by The State University of New York”.